For improved dialysis time and rates. 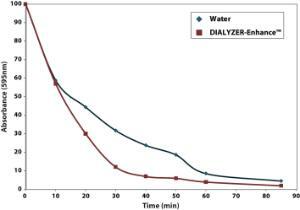 A product that when added to the dialysis buffer shifts the equilibrium resulting in the increased removal of a wide range of small molecules. 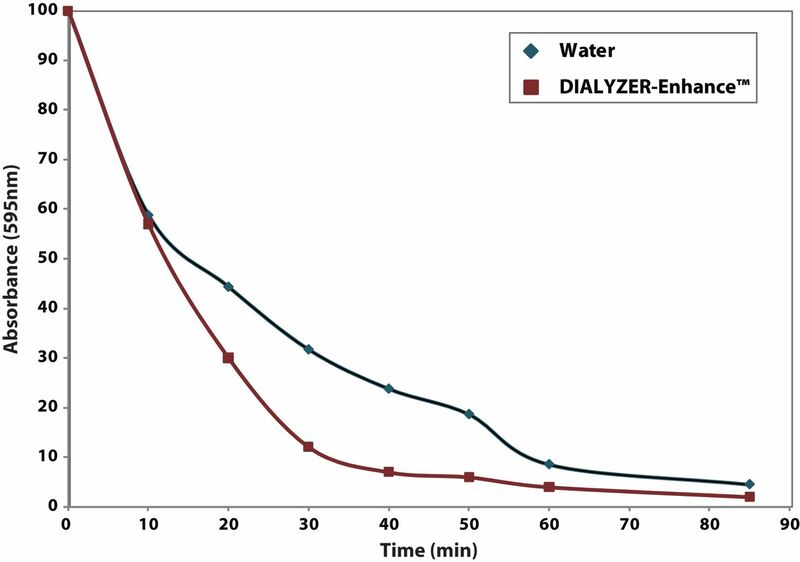 The DIALYZER-Enhance™ consists of unreactive reagents that will not interfere or modify your reagents and will not cross the dialysis membrane, ensuring a pure, clean sample at the end of dialysis.